I was one of the lucky people to grow up in the mountains of Brevard. After college I moved back to the most beautiful place on earth. 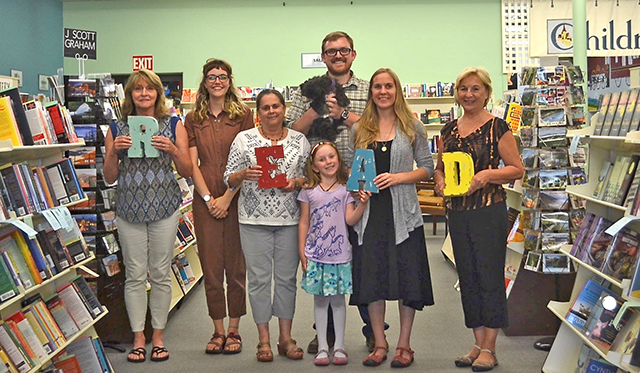 Before owning the bookstore, I was an elementary teacher in both Henderson and Transylvania Counties, where I developed a love of children’s literature. I purchased the store with my husband, Chris, in December of 2015 and have enjoyed my new role in the community. I particularly enjoy reading non-fiction as you can probably tell from my staff picks list. If you are looking for book recommendations, my favorite thing about this job is finding you the perfect book. These are Amanda's picks. Click on any title or book cover to read more.